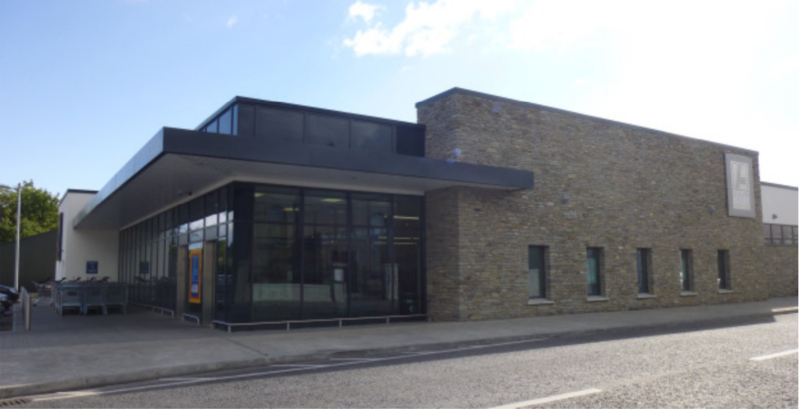 This was a design and build scheme whereby Cahalane Bros developed a proposal for Aldi Property Services and subsequently took the 1500m² project through from planning permission to practical completion. This project highlights Cahalane Bros skill in defining the clients needs and requirements and delivering on them. 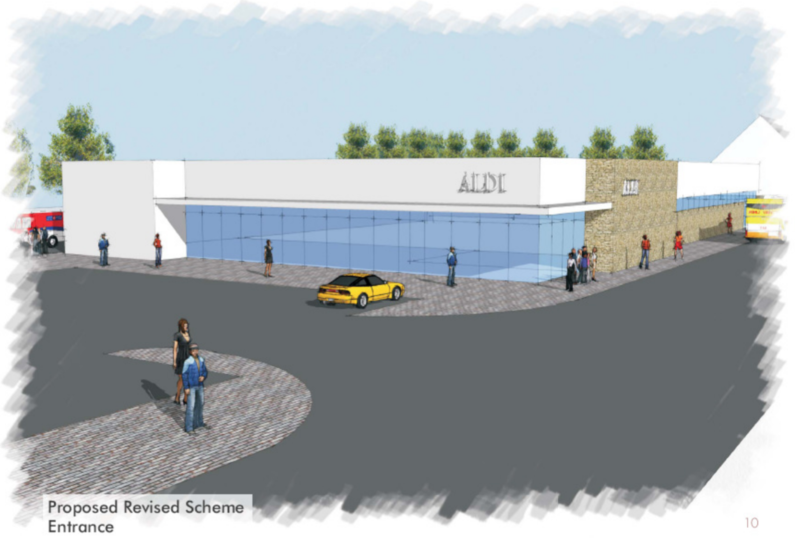 Using local knowledge and expertise they created a proposal for a brownfield site in the centre of the town, engaged the European supermarket chain Aldi and produced a building titled locally as ‘the best Aldi in Ireland’ due to architectural enhancements to the basic Aldi design. The ground conditions dictated that ground improvement works be carried out and Cahalane Bros engaged long time partners TJ O’Connor & Associates to provide specialist foundation design. 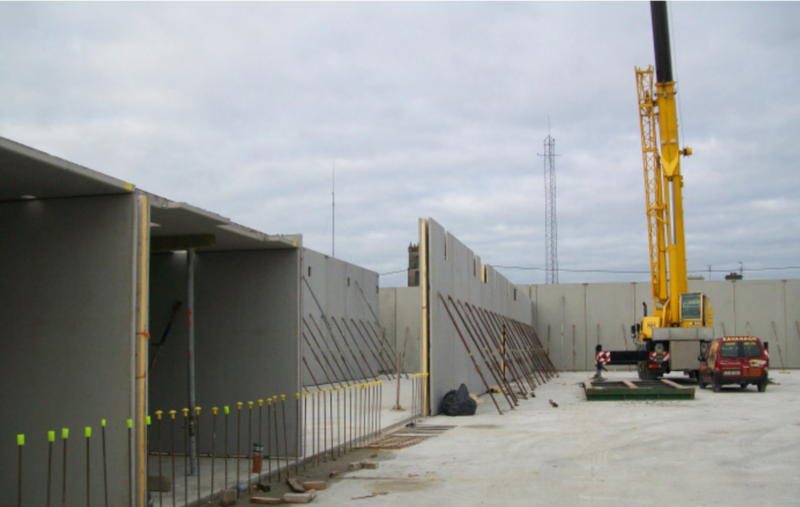 As an alternative to a piled foundation 250 vibro-compacted stone columns were installed on site to support the building. 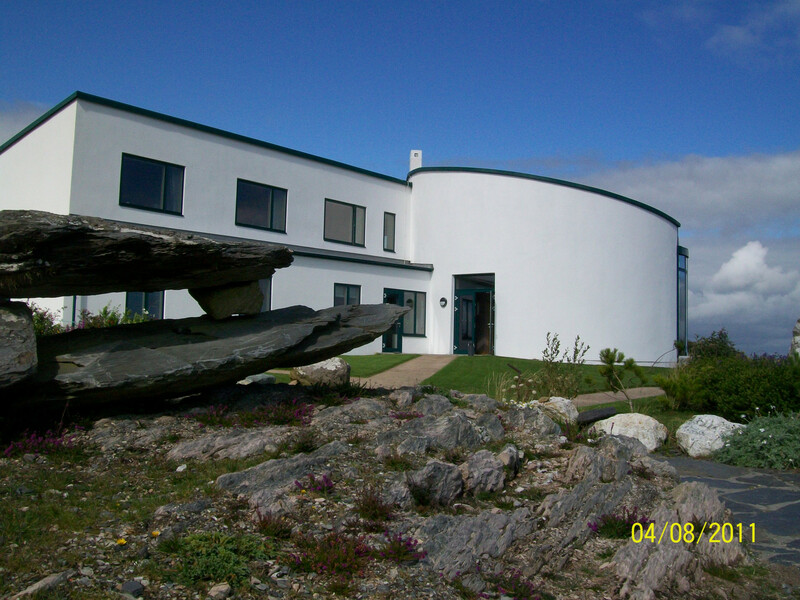 The design married a precast concrete twin-wall solution with external stone masonry, allowing a water tight building to be provided within 4 months of start on site date. This enabled the internal fit-out to commence and works to be completed, with Aldi opening their store in advance of the Christmas shopping period. The natural stone exterior, painted precast panels and glazing produced an aesthetic balance which met the Planner’s requirements and offered an affordable solution. Over 1100m² of membrane roofing was installed as part of the project. The company's ability to pre-plan, schedule, procure and deliver the works gave the client the confidence to contract Cahalane Bros to deliver the fit-out and mechanical and electrical works for the building and was a significant vote of confidence in our capabilities.